Our expert team of Clinicians & Aestheticians are dedicated to promoting natural beauty through our comprehensive range of non-invasive treatments. The aim of the clinic is to correct imperfections whilst maintaining healthy skin, which will enhance your best features and give you a youthful and fresh appearance. During your initial free consultation, we will provide you with honest advice; an explanation of any identified problems, a proposed solution and expected results. Many conditions will require a combination approach with various treatments and therapies, ensuring we achieve the best result for you in the short and long term. Our experienced team will create a tailored treatment plan, dedicated to resolving common skin issues whilst endeavouring to not only meet, but exceed your expectations, using our tried and tested holistic methods. With this in mind, we look forward to discussing your different options in more detail. 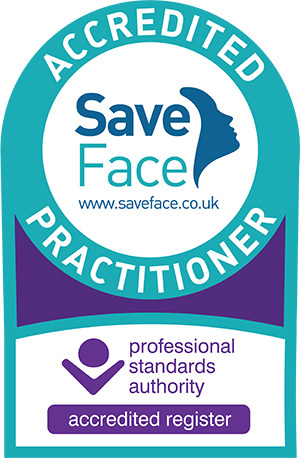 Save Face is a Professional Standards Authority accredited register and is recognised by the Government – The Department of Health and NHS England. In order to be accredited by Save Face we have been independantly assessed against a robust set of standards.